With Splatoon 2 being all about youthful fashion, it is only right that the youth fashion outlet EditMode release some exclusive Splatoon 2 themed outfits. 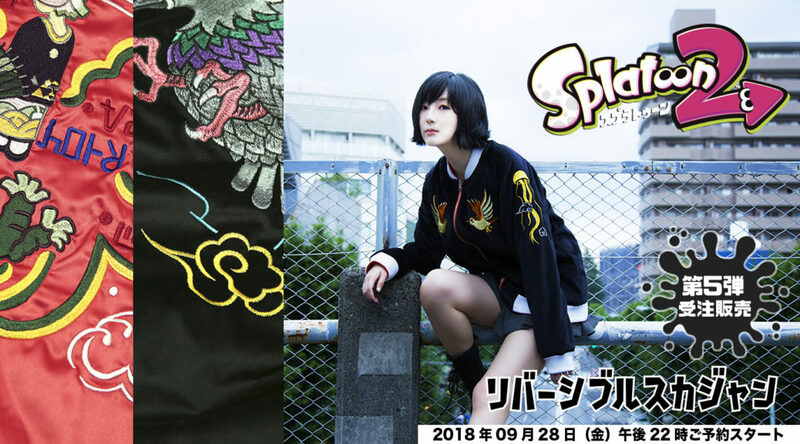 Announced on their site, EditMode will be releasing a reversible Splatoon 2 themed satin jacket. On one side you’ll get a Birded Corduroy design while on the other, a Deep-Octo design. The satin jacket will go on sale next week on 28 September 2018, in limited quantities.